Record breaking Cricket Groundsman’s Seminar. 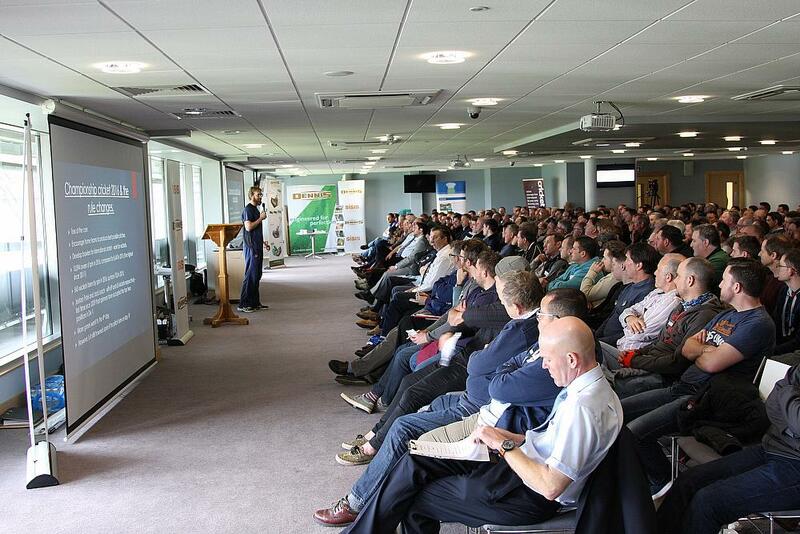 The recent Dennis and SISIS Cricket Groundsman’s Seminar recorded its highest ever attendance with an impressive 260 delegates making their way to Gloucestershire County Cricket Club all looking to refresh and enhance their education on a variety of topics. The seminar, which was supported by Gloucester Cricket Board, Boughton Loam, CricketWorld.com, Limagrain UK, Lister Wilder, Stuart Canvas Products and Poweroll, brought together a wide range of cricket groundsmen from grass roots, local and county clubs, and international test venues. It was also reported that the event recorded the largest ever amount of attendees from groundsmen working within schools and colleges. All sharing the same goal of ultimately enhancing their education and improving their cricket facilities, the seminar was a fantastic opportunity to meet like-minded individuals, learn best practices and share and gain knowledge from some of the top names in cricket groundsmanship. Delegates made the most of a refreshment break to mull over the morning’s insightful presentations before Chris Wood, ECB pitch consultant, offered a wealth of knowledge through his presentation ‘Spinning Pitches’. Sean Williams, head groundsman at Gloucestershire CCC, then invited all attendees onto the immaculate pitch where he and Chris discussed ‘Pre-Season Practice Pitch Inspections’. Following a complimentary lunch, which also offered some fantastic networking opportunities, Barry Glynn, a former cricket groundsman, detailed his honest and extremely humorous thoughts concerning the ‘Frustrations of a Cricket Groundsman’. Martin Ford, ECB fine turf manager, then proceeded to offer some very helpful tips in his ‘Spring Renovation on a Budget’ presentation before the day concluded with a questions & answers session. It was the perfect way to finish the record breaking seminar and all delegates got the opportunity to ask questions to a number of head groundsmen such as Karl McDermott (Hampshire), Vic Demain (Durham), Sean Williams (Gloucs), and Simon Lee (Somerset).